Warner Brothers Interactive Entertainment has announced that Scribblenauts 2 will be released in Fall 2010. This sequel to the highly successful Scribblenauts promises to offer more creative ways to interact and a significant increase of words to use within the game. The game is developed by 5th Cell. 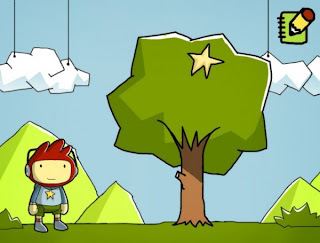 In this new game, players will need to solve puzzles to help Maxwell obtain the 'Starite'. In this new game adjectives can now be used with words to modify objects such as a change in colour or size as well as elements or behaviours. Additionally, numerous adjectives can be combined to allow for greater creative possibilities. "The next Scribblenauts broadens the players' experience from the first Scribblenauts through more creativity, innovation and in-depth gameplay," said Jeremiah Slaczka, Creative Director and Co-Founder of 5TH Cell. "All of these enhancements give players even greater control over how they want to play the game." I've had my fair share of fun playing Scribblenauts on the DS and all the while I've thought to myself how much better this game could be with an added level of flexibility in gameplay options. Sounds very much like part 2 may deliver just that. I'm definitely looking forward seeing how Scribblenauts 2 turns out.